When he bought a house in Palos Verdes, he knew it would be held against him, that he would be charged with high living. He knew he would never be able to make Tokyo understand that whereas in Japan – because housing was so bad and perhaps because women were not a part of the business world – businessmen entertained by taking one another out for extravagantly expensive nights on the Ginza; in the United States, with its wonderful housing, Americans entertained in their homes. He paid a mere $25,000 for the house, and he loved entertaining there, barbecuing steak like an American but serving sushi beforehand. By American standards the house was very nice, but by Japanese standards it was extraordinarily grand, far grander than those in which his superiors lived at home. The house was always a sticking point. Tokyo never really accepted the idea of the house. 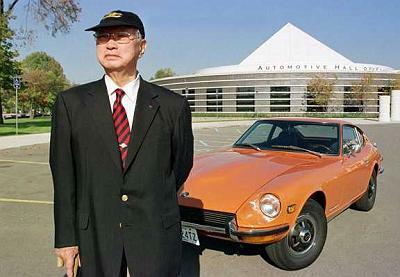 A steady stream of high Nissan executives passed through California, looked at it, and held it against him, concluding that if Katayama had a house this splendid, he was in some way ripping off the company. When Katayama retired, his successor sold the house at a profit of about $50,000, and if he had held on a few years more, it would have been nearly $2 million. The end for him began when Hiroshi Majima showed up in 1975. Majima became president, and Katayama became chairman. Japanese executives had arrived in the past, and Katayama had always been able to deal with them. Majima was different. He was Ishihara’s man, an executive with clout and connections. It was clear from the start that he was there to replace Katayama and that his coming signaled the close of the era. lt was an uncomfortable time for everyone. Katayama, of course, knew a lot more about America and doing business there, and Majima, just as clearly, outranked Katayama by lightyears and was under orders to take the company back from him. Majima did not speak English, and to the Americans at headquarters his manner seemed chilly and evasive. It was hard to get a quick and clear answer from him. He was not comfortable with Americans, only with other Japanese, and he brought more and more of them into the Los Angeles office. For some of the Americans it was their first real recognition that they were working for a Japanese company. Katayama knew his time was running out. He had stayed on in America past retirement anyway, and now Tokyo was catching up. In early 1977 he received a cable imperiously summoning him home, without explanation. It was as if he had suddenly disappeared. On arrival in Tokyo he was informed that he had retired a few days earlier. His friends back in Los Angeles did not know what was happening but feared the worst. Mayfield Marshall, probably Katayama’s closest friend in the company, cabled him in Tokyo. “Hope they give you more than a gold watch,” he said. A few weeks later Katayama returned. He looked at Marshall and held up his wrist. On it was a gold watch. It was about the only thing they gave him. He did not particularly want to return to Japan and for a time considered staying on in America in a different business. But he did go back, and in Tokyo, Nissan wanted to hide him. It was almost as if he had come home in disgrace. There was no reward for the job he had done. He was not put on the board. He did not make vice president. He was given a minor job in an advertising subsidiary – “I was farmed out,” he wrote his friends in America. “At least I am beyond the reach of the union.” Nissan tried to minimize any publicity in Japan about the role he had played. When American writers wanting to talk about the American operation showed up, the Nissan public relations people would come up with a short list of names, and though Kawazoe’s was on the list, Katayama’s was notable by its absence. 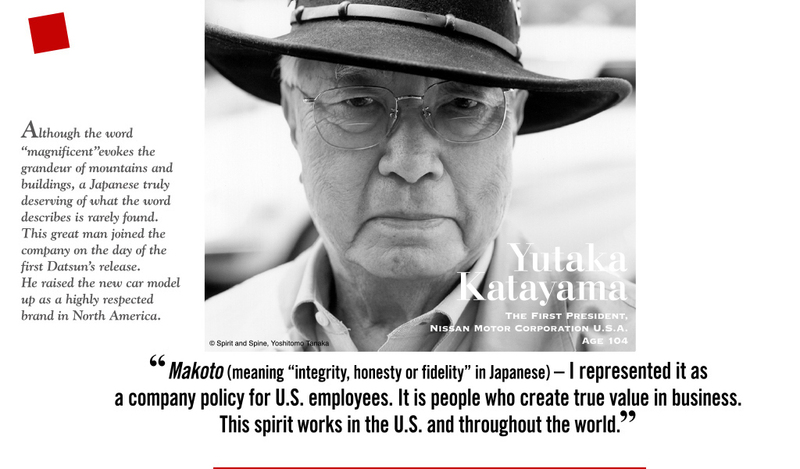 Not everyone ignored him: In April of 1977 Katayama was awarded a blue ribbon by MITI for his work on behalf of Japanese trade in America. That was a particularly high honor, and it pleased some of his friends back in America, for to them it was as if he had won it in spite of Nissan. But he took little pleasure in the award; to him it had a slightly bitter taste. He sensed that the Nissan people, embarrassed by his success in America and their own failure to recognize it by putting him on the board, had gotten MITI to do their work for them. It was partly a scam, he thought, and he felt oddly detached on the day of the presentation. Later he could not even remember whether or not he had celebrated with a few friends that night. A few months later, there was a party in his honor given by about 150 of his friends and colleagues; they had had to pay for the party themselves, he noted acidly. In America, Nissan moved quickly against those who had been his nearest associates. Within a few months it got rid of John Parker, whose agency had handled the Nissan account since the first commercial.